Hailed for “the eccentric diversity of his projects, each of them wildly uncategorizable in their own right” (The Key), singer and composer Brian Carpenter brings Beat Circus to National Sawdust with a concert of songs “full of surreal audio landscapes put together in strange and often unsettling ways” (New Sounds, WNYC). The final part of the band’s Weird American Gothic trilogy, their latest project is an “immersive experience, a story unfolding like a movie with spoken word, song, and atmospheric instrumental tracks” (Americana UK). 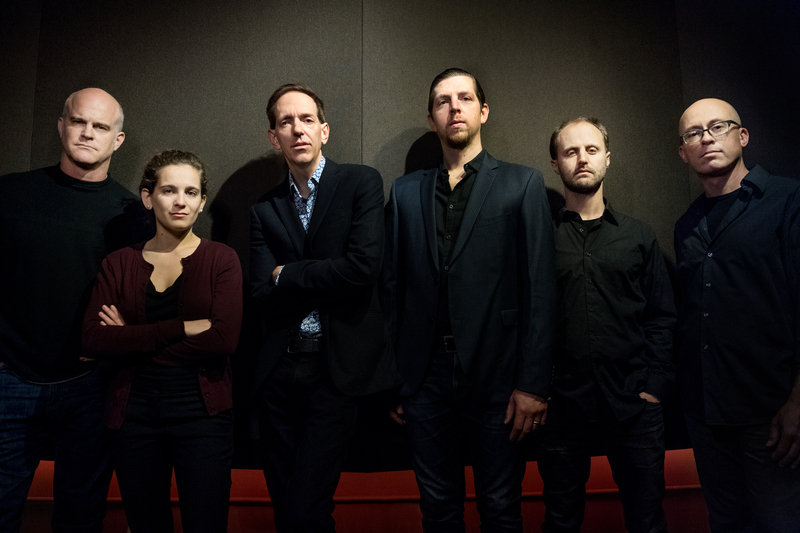 Featuring Brian Carpenter’s singular vocals with the explosive drummer Gavin McCarthy (Karate, Thalia Zedek Band) and the searing guitarist Andrew Stern (The Confessions) of Boston, Beat Circus will perform new arrangements in a surreal world of dark country, noir, and the avant-garde. These Wicked Things is the fourth release from the determinedly eclectic Boston-based band Beat Circus and the final installment in singer, multi-instrumentalist, and composer Brian Carpenter’s Weird American Gothic trilogy. The album’s cover, video, and booklet include work by renowned Croatian artist Danijel Zezelj, best known for his live paintings, multimedia, and collaborations with DC Comics/Vertigo. Brian Carpenter formed Beat Circus in 2002 shortly after his arrival in Boston and, since then, he‘s been the ensemble’s guiding light and sole constant member. He has recorded or performed with Swans, the Kronos Quartet, Colin Stetson, Marc Ribot, and Roswell Rudd, and collaborated with producers Martin Bisi (Dreamland, 2008), Sean Slade, and Bryce Goggin (Boy From Black Mountain, 2009). He also leads the Ghost Train Orchestra in Brooklyn and The Confessions in Boston. Returning on These Wicked Things are drummer Gavin McCarthy (Karate, Thalia Zedek Band), bassist Paul Dilley (Reverend Glasseye), and guitarist Andrew Stern (Brian Carpenter & The Confessions). Relative newcomers include violinist Abigale Reisman (Tredici Bacci), violist Emily Bookwalter (Ghost Train Orchestra), and multi-instrumentalist Alec Spiegelman (Cuddle Magic). These Wicked Things began in Berkeley, California, when Carpenter was commissioned by the Berkeley Repertory Theater to compose music and lyrics for Dominic Orlando’s play The Barbary Coast in 2014. Based on the true crime book by Herbert Asbury (Gangs of New York), The Barbary Coast detailed the violent rise of San Francisco in the late 1800s. The play centers around Joaquin Murieta, the real-life inspiration for Zorro, a Mexican who went on a notorious revenge spree after his wife Rosita was killed by gold miners. Two versions of “Rosita” and some incidental music from the play are included. 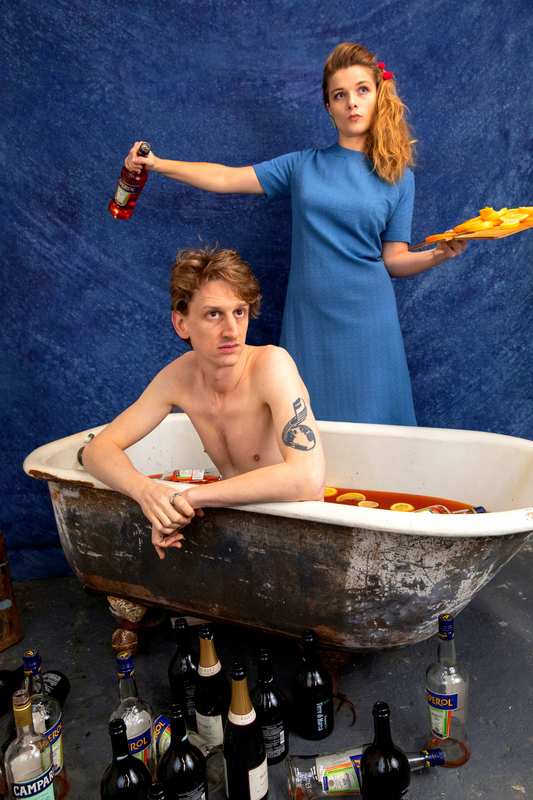 New York–based thirteen-piece ensemble Tredici Bacci was formed by composer Simon Hanes in spring of 2013 as a vehicle to bring his unique musical vision to the stage and to seduce the ears and minds of the northeast underground music scene. The instrumentation of female vocals, string quartet, horns, accordion, and rhythm section is specifically designed to capture the musical qualities of Hanes’s initial inspiration: the music of italian films of the 1960s–70s. From giallo to spaghetti western, Morricone to Rota to Cipriani, Hanes has made it his duty to absorb it all and allow it to inform his original, very personal compositions.